I should have skipped birding on this day and attended a Remembrance Day ceremony somewhere. I went to two locations and saw some birds at the first, and none at the second. To make matters worse, I somehow lost my binoculars at one of the locations. It was the first day where I wore my bulky winter jacket and the bins must have slipped out of the case on my belt without me noticing. They were getting old and I have a spare pair (not as good) but I'll need to invest in a new pair in 2018 before my April Okanagan Tour. I was really hoping to see the Rusty Blackbird that had been here for the last week or two, but struck out on that one. 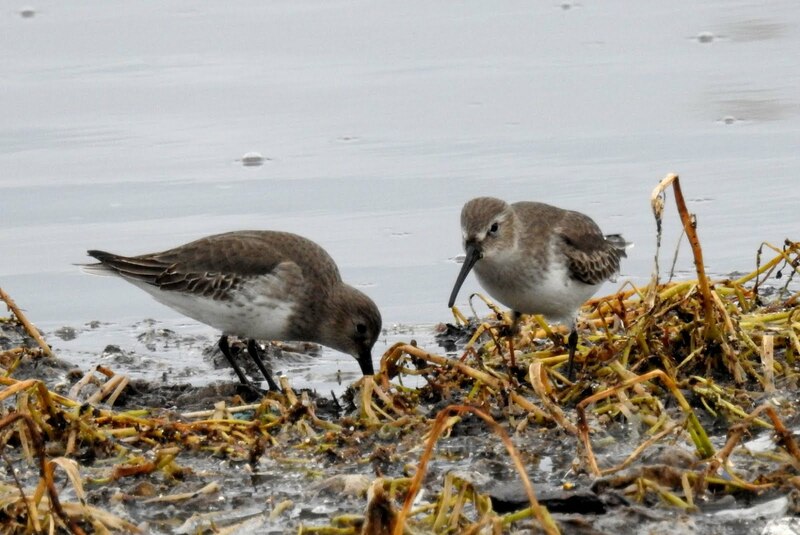 The predominate birds on this day were Dunlin. These shorebirds tend to stay here for most or all of the winter. Here's a movie of a few of them feeding in the treated sewage settling pond. They stay in large flocks for protection from predators and burst into the air at the slighted provocation. The movie below shows a flock taking flight due to the resident Peregrine Falcon taking a run at them. You see the falcon at the end of the clip. 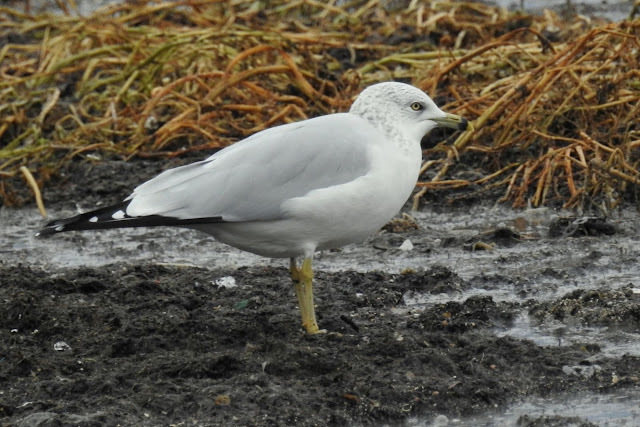 The only other bird of note was a Ring-billed Gull. 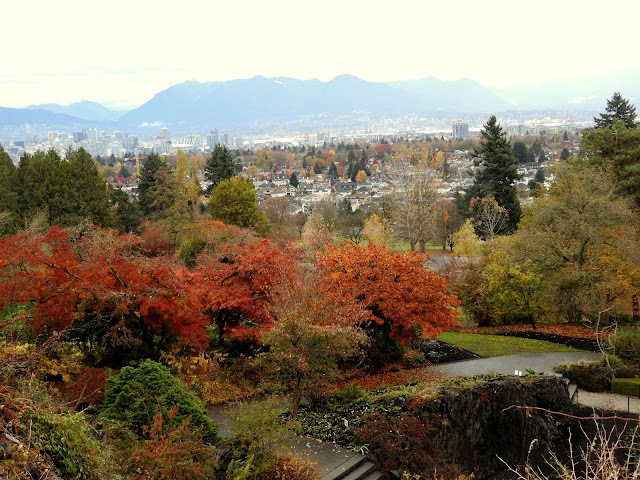 I left Iona and made the short trip into Vancouver to visit Queen Elizabeth park. It was devoid of birds, so all I got was this scenic shot. I got back to the car and realized I didn't have my binoculars. I retraced my steps at the park but didn't find them. I decided to return to Iona and look there, but no sign of them at all. This was the start of the long weekend, so I had to carry on without them.